Hello everyone, We are JEDA (Japan EOS Developer Association, 一般社団法人EOS開発者協会) which located in Tokyo, Japan a place that have the largest amount of cryptocurrency investor in the world and blockchain technology company. Official block producer candidate name. Type of servers (cloud, bare metal, etc). Cloud server at early phase. we will consider and try bare metal after for backup nodes. Current employee list and pictures of at least 67% of staff. Ph.D. of Tokyo University Dept. of Precision Engineering, Graduate School of Engineering. 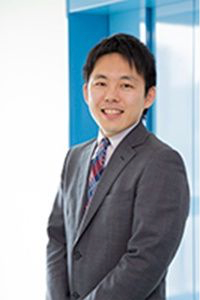 During his Ph.D., the candidate developed a concrete design system and its software responding to the concept of service engineering proposed by Arai, Shimomura, and Ueda in CIRP（Collége International pour la Recherche en Productique）. The system and software were presented in CIRP GA, LCE, MS, and IPS2 conferences. He received the prize A) due to his dissertation. 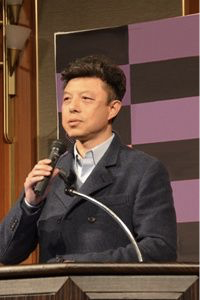 Research into Artifacts, Center for Engineering (RACE), He is now Associate Professor of The University of Tokyo service design, service engineering, servitization, skill analysis of human interactions. Co-founder of JEDA and angel investor, has been focusing on investing BlockChain industry. Over 20 years of developing experience of mobile payment. In early 2003, he led his company join into Japan first digital currency encrypted IC Felica’s development together with Sony, later used in Suica card(a prepaid e-money card for moving around and shopping in Japan). he started his company for business consulting and IPO service. Graduated from University of Louisville Kentucky USA, Bachelor of Science Major in Finance occupations. 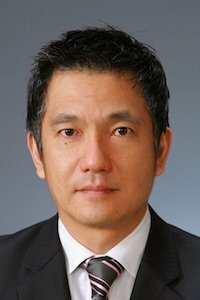 MD of BTCBOX the licensed cryptocurrency exchange in Japan. Sekiguchi has more than 5 years experience in Mobile Internet Marketing.Has been worked in Chinese well-know company Netease. Currently he join JEDA as a co-founder. Jacky is a senior full-stack developer with more than 12 years of developing experience and blockchain technology fanatics. 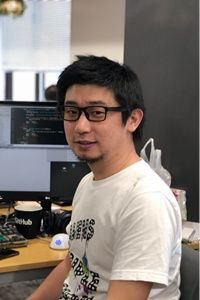 He was lead developer and blockchain research engineer of a cryptocurrency exchange in Japan. Now he joined JEDA for EOS related works. Move to bare metal server gradually. Upgrade up to two servers with 2-4 TB RAM and 100G bandwidth support. One for production PB, one for backup. We are committed to promoting EOS in Japan and organize the developer to build the EOS ecosystem. As development is an important cycle of EOS ecosystem, we’ll strongly support the financial side for the developer who has an ability to develop DAPP projects more smoothly. We are also going to conduct educational activities for people to increase knowledge and skill improvement for EOS throughout the country by holding technician meet-ups and public meet-ups. For now there is one BP called “goldfish” and we will include more BP up to 21 nodes. Also we will keep it up-to-date with the latest released version.